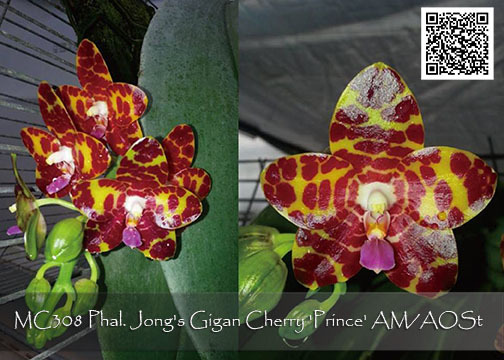 Simply stunning is the only way to describe this clone of Phal. Jong’s Gigan Cherry ! 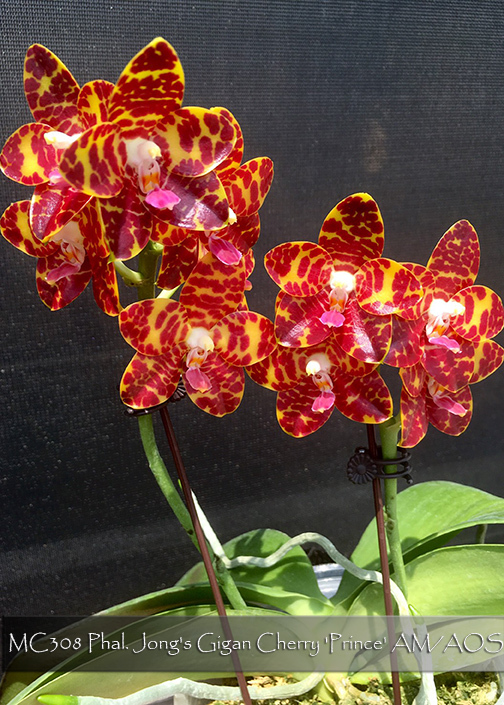 Already creating some new and amazing novelty hybrids, the clone ‘Prince’ is sure to become a classic and is an absolute must for every Phalaenopsis hybridizer. Kung’s Red Cherry is heavily made up of violacea and lueddemanniana creating a rich color pool. The addition of Phal. gigantea influenced its bold crisply marked spotting. 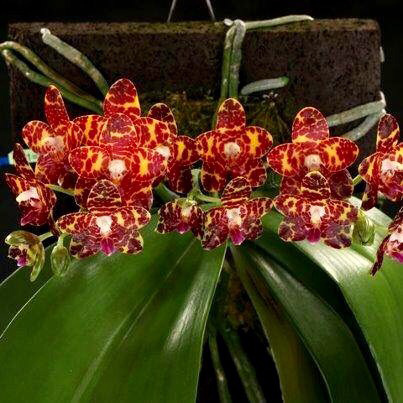 With these species in its immediate background, it takes less light than a typical novelty Phalaenopsis, and its leaf span is not as large as its species background leaves tend to be. For best growth and presentation of its pendulous flower spikes, it’s best grown tilted or mounted to avoid water collecting in its crown. For long lasting waxy fragrant flowers with the ultimate “wow” factor, this is Very Highly Recommended and a must for future hybridizing !